The house in Miami Playa has 4 bedrooms and has capacity for 8 people. The house is is newly constructed, and has 100 m². It has views to the garden. It is located 600 m from the sand beach, 2000 m from Miami Platja city, 5 km from Bonmont golf course, 10 km from Cambrils train station, 18 km from Port Aventura amusement park / theme park, 18 km from Caribe park water park, 20 km from Reus airport. The house is situated in next to the sea. 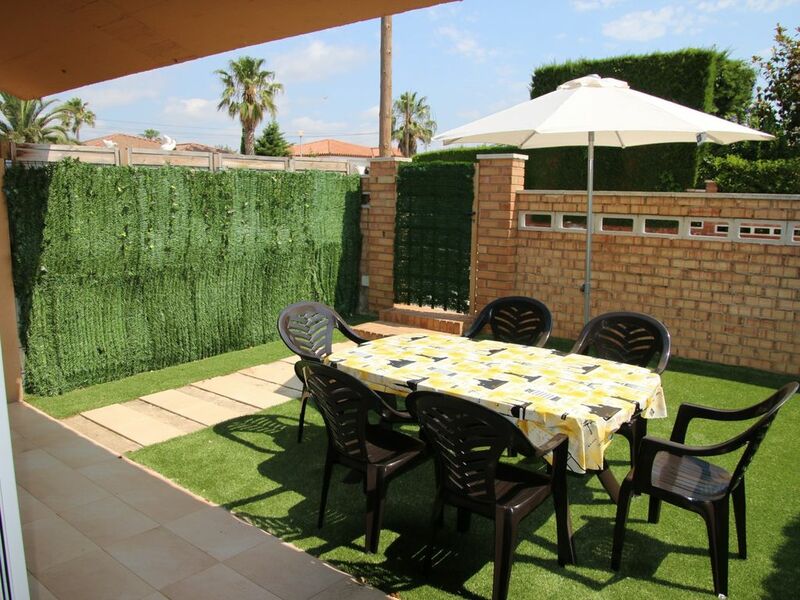 The accommodation is equipped with the following things: garden, garden furniture, fenced plot, barbecue, internet( extra charge), garage (2 seats) in the same building, tv. Tolles Ferienhaus für 8 Personen. Sehr freundliches und hilfsbereites Personal an der Rezeption. Ruhige Lage, Strand gut erreichbar. Schöne Zeit im Haus Casa Falgueres verbracht. Haus ist sehr gut ausgestattet für 8 Personen. Die Garage ist suoergross reicht locker für 2 grosse Autos. Eigentlich fehlte uns nur eine Gartendusche..